Donald Sterling is the worst owner in sports history. But we already knew that before this week. We knew that he would fire every employee at the end of every season, rehire them at the beginning of the next, and consider himself a business genius, because he didn’t have to pay them for half the year. We already knew that he looked at his team as a piggy bank. We already knew that his dream team was all black with an elder, white southerner coaching, because it reminded him of the plantation times. We didn’t learn anything new about Donald Sterling this week. We did, however, learn a lot about Doc Rivers. In the span of five days, he cemented himself as the second-best coach in the NBA, only behind Greg Poppivich (who could be the best ever). Whoever buys the Clippers should do anything necessary—give him part of the team, a giant bonus, the chance to become a front-office guy—to make sure he never leaves the Clippers. 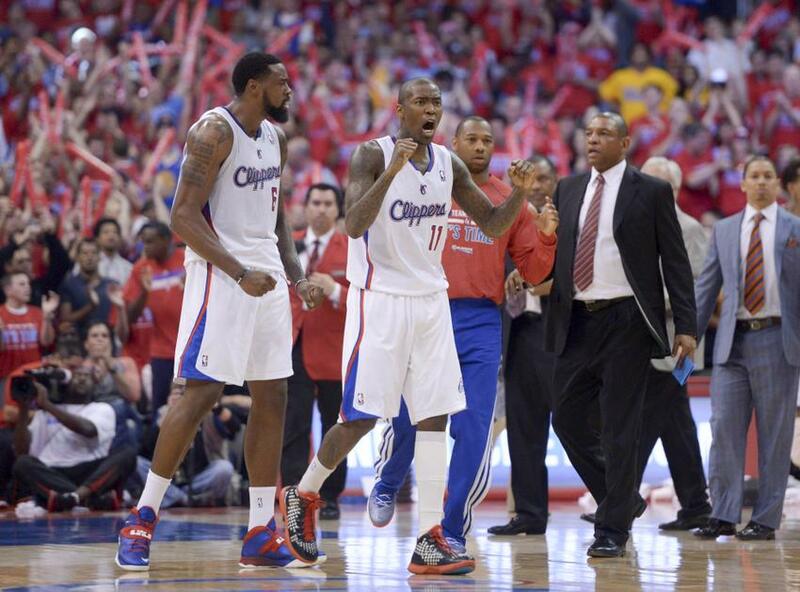 Without Doc, the entire Clipper franchise would have already fallen apart. There’s the obvious benchmark by which coaches are measured: their team’s play on the court. I could go on for days gushing about Doc’s coaching (it’s easy to be in awe of a coach when Scottie Brooks coaches your team), but let’s just look at what Doc has done with Blake Griffin this year. Doc was the first coach to finally get through to Blake and morphed him from being the guy that jumped over a Kia to the best power forward in the league. The key to that improvement is the mid-range game Blake developed under Doc. Blake’s field goal percentage from 10-16 feet is up from .356 a year ago to .398 now. That added layer to his game, brought his points per game up by 6 points, and carried his team past the Warriors. Doc Rivers wrote that. Not some secretary somewhere. He wanted his voice to be heard: that demands respect, and it’s impossible not to revere him for it. I’m not the only one who noticed. His players did too. The first game after the Sterling news broke, the Clippers were not planning on doing anything to address the news themselves. They were going to just have Doc speak to the fans, media, and the world for themselves. All 12 players agreed, because they knew Doc would represent them better than and have their backs. They knew he would do and say the right thing. Finding a coach that can build trust in an NBA locker room like that is like searching for Nessie. Building it in one season is unheard of. That’s someone who loves his players likes sons. That’s someone who poured his heart and soul into his team. He’s happy and relieved at the same time. He’s completely uncensored. Some players say they’d run through a wall for their coach. Doc’s the kind of coach that makes players and even fans want to run through a wall for him. I would too. It’s easy to trust him. It would be hard not to. Think about what must have gone on in that locker room that day. 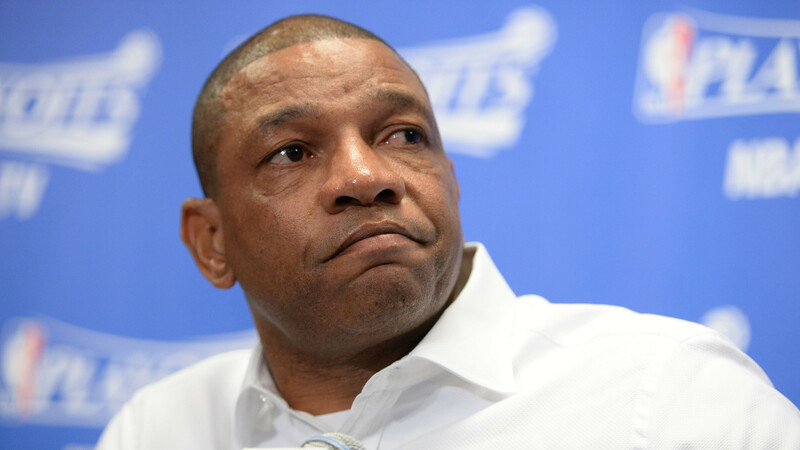 Every Clipper player’s phone was flooded with texts, voicemails, tweets, and emails from everyone in their contact book telling them “can you believe this?” or “how can you play for him?” Doc got the team focused on basketball. He led them to victory in their playoff series against the Warriors. He didn’t only focus on his players. he focused on Clippers employees too: PR people, food vendors, bus drivers, etc., who were as shocked as anybody when the Sterling tape was leaked. Doc realized this. This past week, he went to the Clippers’ offices and met with all the employees. He talked to them. Listened to them. He made them feel important, which, in a Donald Sterling owned business, is as rare as finding a coach like Doc. Who does that? What coach takes time from preparing for a game 7 to meet with ticket stub collectors? Acts like that are what make Doc irreplaceable. It says so much about the man that he is. He already is acting as an executive. Why not make it official? The respect the Clippers organization gained this week was 100% because of their coach, and all that respect would vanish if Doc walked out the door. He’s everything Sterling was not: brave, respectful, and full of integrity. That’s what the Clippers should be about. That’s why they need Doc. That’s why Doc can never go anywhere else. He took the Clippers out of their home of mediocrity and moved them into a shiny, new one full of opportunity and promise. He’s the new soul of the Clippers, plain and simple. Just ask Matt Barnes. The players decided to wear their warm-ups inside out after listening to Jalen Rose talk about how all of his heroes growing up took a stand on issues. Who came up with the inside out warm up idea? Doc Rivers. A post that the general media could learn from. Instead of focusing on Sterling, the villain in the story, you focused on the hero, Rivers. Congratulations on telling the story behind the story that is the real story.